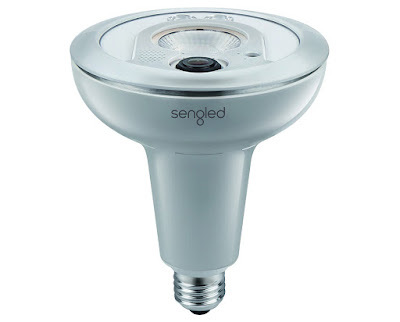 Sengled do some very clever things with lightbulbs. As we recently found out when we gave away a Sengled Boost, an LED light with a WiFi range extender on the inside, the company make good use of what would traditionally be wasted space. Now they've upped their game yet again with the Snap, a lightbulb with integrated HD security camera. The Sengled Snap is a little bit bigger than your average LED lightbulb, but still features the conventional E27 screw base. This means it can be connected to most light fittings, but obviously as the camera lens needs to 'point' at whatever you want to keep an eye on, it is better suited to positionable fittings, such as external security lights. And that is no coincidence, as the Snap is weatherproof and, as long as it can still reach your hone's WiFi network, can be located just about anywhere – drawing as it does the required operating power from the light fitting. Genius. 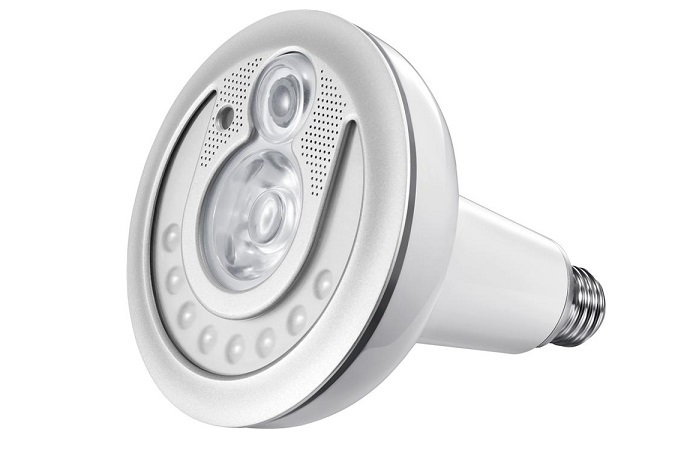 Once installed, and with the Sengled Snap app downloaded to your mobile device (iOS and Android) you can stream the camera's live feed, while also having full control over the LED light itself. The camera is Full HD 1080p and also boasts a 140 degree field of view, and the resulting image, over the mobile app, is sharp and lacking in latency. The Snap has a built-in mic so you can hear what is happening, and also a speaker to give you two-way audio, allowing it to be used as a baby monitor. If you've ever used a WiFi security camera (and Heaven knows, we've tested loads) you'll feel right at home with the Sengled Snap. There is nothing about set up and use with the app that differs greatly from anything else we've seen before, with the added convenience of not having to find a nearby power socket to plug it into. Also, although a big selling point is that it is a light with a camera, the Snap also features night vision thanks to the IR lights around the lens. This means you can still see (and record) what is happening in the dark, without having to activate the light – again, great if you're using it for anything other than security, when a bright light would be too intrusive. We mentioned recording the footage the Snap captures, but there is a catch. If you buy the Snap and start using it immediately you can stream the live feed to your mobile whenever you like, but to activate the motion-sensor capture and the cloud recording you need a paid subscription. To be fair to Sengled, their prices start from just £3 per month which gives you a day of storage and alerts to you phone. That's good enough if you review the footage on a nightly basis, or for knowing you have the footage saved if you discover you've been burgled. However, a lot of other IP camera manufacturers provide free cloud storage, including this one with 30 days of recordings from Y-Cam. Something to bear in mind. So Sengled have come up with yet another good use of the traditional lightbulb. 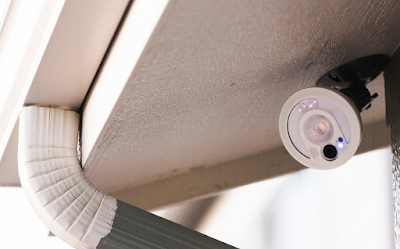 If you have internal and external light fittings that can be angled (that are E27 screw fittings) the Snap could kill two very important security issues with one stone; light and CCTV. We wish there was a free cloud storage option, but as purchased the Snap is easy to use with a great camera.